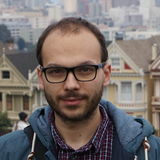 Mircea Ulinic is a network engineer for Cloudflare, spending most of his time writing code for network automation. He often talks and presents at industry events about the tools he's working on and how automation really helps to maintain reliable, stable, and self-resilient networks. Mircea's also a major contributor to the NAPALM and Salt projects, being awarded the SaltStack contributor of the year in 2017. He can be found on LinkedIn, Twitter as @mirceaulinic, and at his website https://mirceaulinic.net/.